Serbia has made significant strides in developing policies that are cognizant of and responsive to the concerns of Serbia’s youth. But young people continue to face obstacles on the road from childhood to adulthood. Our audit of public policies and their impact on young people sheds light on the opportunities and challenges confronting young people in Serbia, as well as how youth might advocate for policies and reforms that overcome such obstacles. This audit, published in 2012 with the generous support of the Open Society Foundations, evaluates the impact of public policies on young people in Serbia, analysing not only specific youth policies, but the wider policy dossiers affecting young peoples’ lives and rights. It is part of a pilot series of six audit reports reviewing public policies affecting young people in the following countries: Estonia, Kyrgyzstan, Liberia, Nepal, Serbia, and Uganda. The pilot project consisted of research teams on the ground to conduct analyses based on a specially developed evaluation matrix, assisted and supported in the research process by international advisors. An International Editorial Board supervised and evaluated the pilot process. The Open Society Youth Initiative provided funding for the pilot project. The Youth Initiative supports young people in their efforts to be agents of positive change and advocates for the full and effective participation of all young people in the political, social, and cultural life of their communities. To review public policies pertaining to youth (including, but not exclusively, specific youth policies) in several countries using the draft evaluation matrix specifically developed for the purpose. To make available research that will allow young people to engage in an informed debate on the public policies affecting them and their communities in the countries concerned. To build a pool of young researchers capable of evaluating policies pertaining to youth, including specific youth policies. To contribute to building the capacity of the youth sector in the countries concerned to research public policy issues. To develop the evidence base for pilot advocacy activities in cooperation with the Open Society Youth Initiative and other partners. To broaden the scope of the international youth sector to include general policies pertaining to youth that go beyond specific youth policies. To develop the capacity of the international youth sector and its partners and networks for evidence-based strategy development for young people and their issues. In recent years, Serbia has made significant strides in developing policies that are cognizant of and responsive to the concerns of Serbia’s youth. The adoption in 2011 of a national Law on Youth represents a significant step forward in the realization of young people’s rights. But, while Serbia’s youth has made demonstrable headway in the policy domain, young people continue to face significant obstacles on the road from childhood to adulthood. 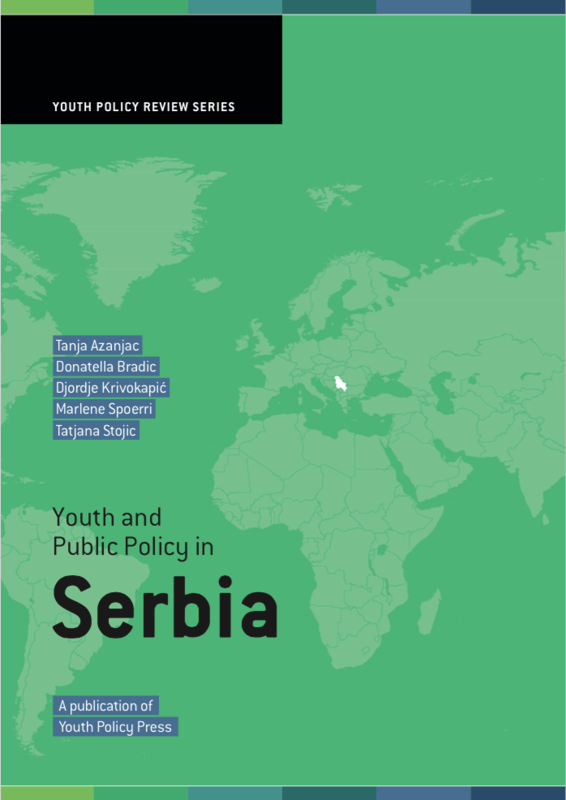 This review sheds light on the opportunities and challenges confronting young people in Serbia, as well as how Serbia’s youth might successfully advocate for policies and reforms that overcome such obstacles. Young people between the ages of 15 and 31 make up about 20 percent of the population in Serbia. Confronted by a graying population and the hardships of a post-communist, post-conflict transition, these young people faced enormous obstacles over the course of the past decade. On the economic front, while Serbia has experienced steady gains in GDP since the democratic changes of 2000, Serbia’s young people continue to suffer from high rates of unemployment, a lack of access to the labor market, and vulnerability to macroeconomic instability. On the political front, while Serbia has successfully made the transition to an electoral democratic state, young people continue to be far removed from decision-making processes and are often denied a voice in the decisions that affect their lives. Serbia has made important steps in laying the foundation of a solid youth policy, but many significant questions remain about the implementation of such policy. Based on an analysis of these gaps, the report offers a set of recommendations for policymakers and youth civil society organizations in the months and years going forward. We extend our thanks to Tanja Azanjac, Donatella Bradic, Djordje Krivokapić, Tatjana Stojic, Marlene Spoerri, Robert Thomson, Yael Ohana and Milosz Czerniejewski for their hard work on the report, to all the persons we were able to interview and discuss the situation of young people and the impact of public policies on youth in Serbia (see appendix IV for an exhaustive list), as well as to the teams of the Open Society Youth Initiative, iDebate Press and Demokratie & Dialog.